Identity theft often occurs in conjunction with credit card fraud, grand theft, petty theft, forgery, or other forms of fraud or theft offenses. Mostly involving a large fraudulent enterprise, identity theft may also be prosecuted by federal authorities. 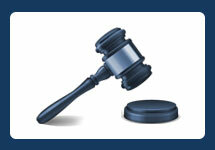 Consequently, a conviction in federal court is punishable up to thirty (30) years in prison. However, under California law, most forms of identity theft are wobbler crimes allowing the government to charge someone with either a felony or misdemeanor. Codified under Penal Code 530.5, it prohibits willfully obtaining personal identifying information and using it for an unlawful purpose. “Personal identifying information” covers a wide range of personal information including a person’s name, telephone number, address, driver’s license number, credit card information, date of birth, health insurance information, social security number, place of employment, and more. An “unlawful purpose” is not limited to criminal violations such as for personal financial gain, but includes other wrongful conduct such intentional civil torts. In a more practical sense, identity theft may include accessing the social media website of another, posing as that individual, altering the person’s profile, or posting obscene comments on the victim’s website. Another example is using another person’s driver’s license without permission to cash a check. In addition, identity theft can occur within the context of giving false information to a police officer in an effort to avoid criminal charges, or opening up a credit card in another person’s name. (1) Someone willfully uses another person’s identification without their permission. (2) Someone merely possesses another person’s personal identifying information with the specific purpose to defraud in the future. (3) Selling, transferring, or conveying someone else’s personal identifying information to another without permission. (4) Committing mail theft or receiving stolen mail. Noted above, identity theft is ordinarily a wobbler offense punishable as either a felony or misdemeanor. If someone is convicted of identity theft as a misdemeanor, they would face up to one (1) year in the county jail. A felony conviction carries up to three (3) years in custody. Fortunately, if someone is convicted of a felony, they may be eligible to reduce their felony to a misdemeanor upon successful completion of probation. However, in the event someone suffers from a prior conviction for identity theft, or a person is accused of having ten (10) or more personal identifying information of someone else, or someone sold or conveyed personal identifying information to someone else knowing it is to be used to defraud, then the crime is a straight felony and cannot be reduced to a misdemeanor. Legal defenses to California identity theft may include consent from the alleged victim, permitting a defendant to use their personal information. Additionally, someone has an absolute defense if they acted on accident and mistakenly uses the personal information belonging to someone else. This would serve to negate the government burden of proving someone acted with the intent to defraud. Furthermore, an accused may not have acted willfully, meaning the personal information belonging to someone else was transferred or mistakenly sent by accident or misfortune, or perhaps the information was stolen. Having a conviction for identity theft can carry lifetime consequences. Payment of restitution, court fines, loss of state licensing, adverse immigration consequences, probation, and even potential jail time follow a conviction. Thus, retaining an experienced Orange County Criminal Defense Attorney who focuses on fraud and theft offenses is critical. 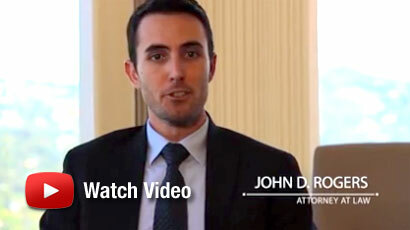 If you’re seeking legal representation for identity theft (PC 530.5), contact the Law Offices of John D. Rogers for a free confidential consultation concerning your rights and defenses. Our office handles identity theft cases in Orange County, Los Angeles, Ventura, San Bernardino, and Riverside counties. See 18 U.S.C.A. § 1028. For a discussion of the use of state and federal laws relating to identity fraud and bankruptcy actions, see Tighe & Rosenblum,“What Do You Mean, I Filed Bankruptcy?”—Or “How the Law Allows a Perfect Stranger to Purchase an Automatic Stay in Your Name,” 32 Loy. L.A. L. Rev. 1009 (1999). See In re Rolando S., 197 Cal. App. 4th 936, 129 Cal. Rptr. 3d 49 (5th Dist. 2011), as modified on denial of reh’g, (Aug. 10, 2011). See People v. Hagedorn, 127 Cal. App. 4th 734, 25 Cal. Rptr. 3d 879 (5th Dist. 2005). (c) (1) Every person who, with the intent to defraud, acquires or retains possession of the personal identifying information, as defined in subdivision (b) of Section 530.55, of another person is guilty of a public offense, and upon conviction therefor, shall be punished by a fine, by imprisonment in a county jail not to exceed one year, or by both a fine and imprisonment. (2) Every person who, with the intent to defraud, acquires or retains possession of the personal identifying information, as defined in subdivision (b) of Section 530.55, of another person, and who has previously been convicted of a violation of this section, upon conviction therefor shall be punished by a fine, by imprisonment in a county jail not to exceed one year, or by both a fine and imprisonment, or by imprisonment pursuant to subdivision (h) of Section 1170. (3) Every person who, with the intent to defraud, acquires or retains possession of the personal identifying information, as defined in subdivision (b) of Section 530.55, of 10 or more other persons is guilty of a public offense, and upon conviction therefor, shall be punished by a fine, by imprisonment in a county jail not to exceed one year, or by both a fine and imprisonment, or by imprisonment pursuant to subdivision (h) of Section 1170.